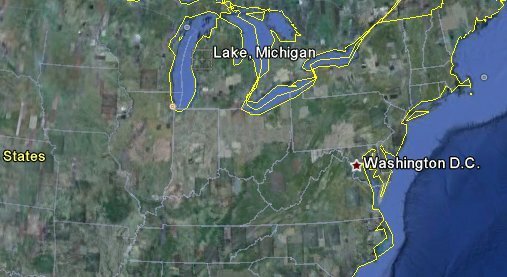 Lake Michigan made the news recently with the recent spate of Ufo reports over the area. Would like to hear from people in Michigan who may have spotted this themselves - what do you think those red lights were? Two very bright, very strange UFO's coming over Lake Michigan. They start out the same, then towards the end they start going in different directions. I live in Kenosha Wisconsin, and i see these things alot, i try to explain to other people what i have seen and they look at me like im crazy lol. me and my girlfriend were walking last night at about 1:00 am along the beach and one of them was actually like 40 feet in front of us above land. we didnt knw wtf it was so we got closer. as soon as we did i sware it turned into a damn airplane lol. but before it was noting but a really bright ball of fire looking thing. very weird but something i wish i could experience again.